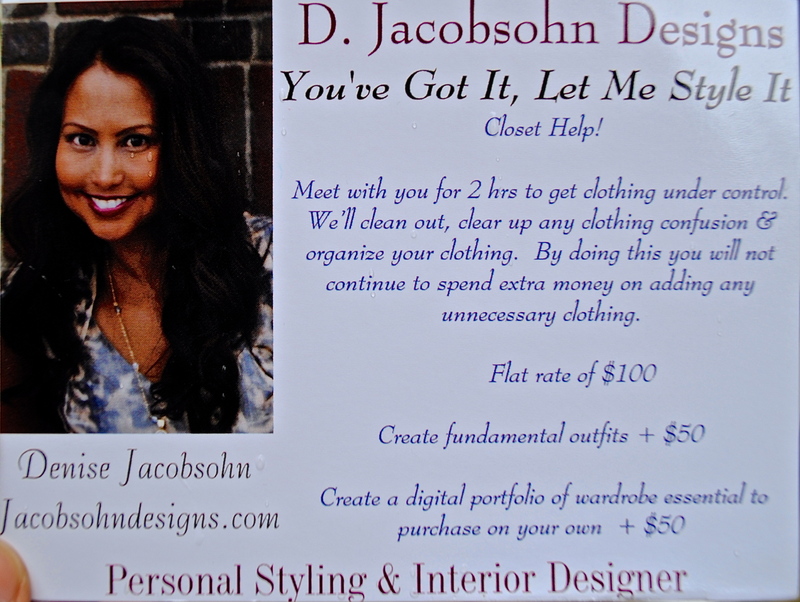 One of my services is to help my clients make sense of their closet or wardrobe by cleaning out items that are unflattering, old, or just don’t fit into their current lifestyle. What I’ve found is that if clothes are cleaned out and organized, then you have a clear idea of your potential outfits and what’s missing in your wardrobe. Once clothing is cleaned out, the next stage is to make sure existing clothing fit correctly. At this point you can clearly see what is missing in your wardrobe to create flattering and fashionable outfits. I’m certain people who purge their wardrobe spend a lot less money on buying unnecessary clothing and accessories. Less makes sense when we know what we have, works for our body and lifestyle then we don’t need to purchase unnecessarily. Designed to meet for 2 hours to get clothing completely under control. We’ll clean out, clear up any clothing confusion and organize your closet.